The colour combination of electric green, black and red gives a distinctive look to Total90 Laser III. 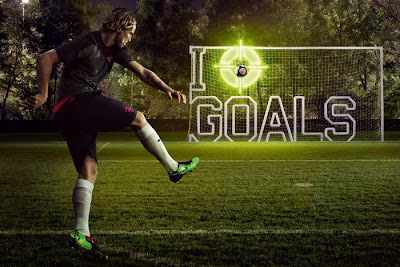 Portland, Oregon, USA (December 10th 2009) - NIKE, Inc. (NYSE:NKE) today unveiled the next generation of its Total90 Laser boot - the Total90 Laser III - featuring a newly configured 'Shot Shield' strike zone (patent pending) designed for more power and accuracy. Every pair of Total90 Laser III boots comes with a unique user-code that allows online access to Nike Football+ featuring accuracy training drills and expert tuition provided by the coaching team at Italian giants Juventus FC. The Nike Football+ digital experience also features a detailed 'signature move' coaching session from Fernando Torres of Liverpool FC. 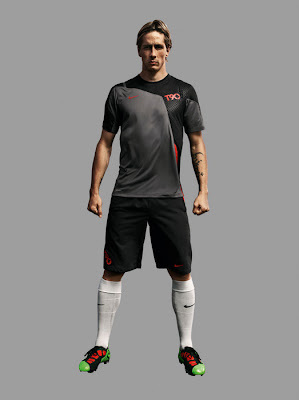 The "Total90 Laser III" is endorsed by Liverpool and Spain star striker - Fernando "El Niño" Torres. 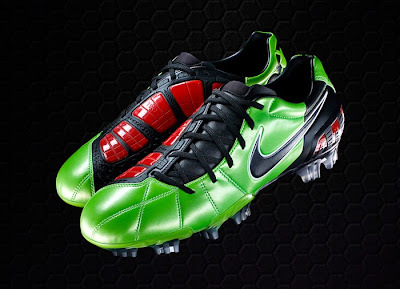 During development of the aggressively styled electric green, red and black Total90 Laser III, Nike designers broke down the biomechanics of striking the ball into specific elements to help them gain even deeper understanding of the boot to ball relationship. Particular attention has been paid to the instep area and how players connect and put swerve on the ball. Modular Instep - five pods on the boot create a uniform contact point that creates a smoother surface for even pressure distribution. The pods are configured as five separate units that operate as one to remain flexible and fluid when interacting with the foot. Advanced shape-correcting memory foam - provides a smooth and more consistent surface to enhance accuracy when shooting. This unique foam adapts to the demands of the individual player. Engineered Fins - raised TPU fins on the medial side of the boot deliver increased friction on ball contact to ensure more swerve when you need it most. Each fin is strategically angled and sized to enhance control over ball trajectory, but fold on contact with the ball to accommodate great touch and feel. Nike Football+ digital coaching program can be accessed at www.nikefootball.com. 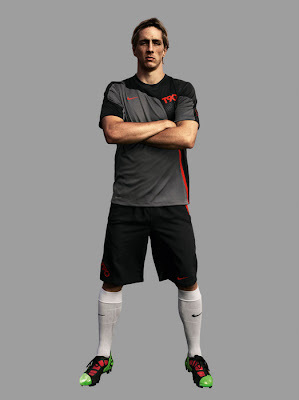 The Nikefootball+ accuracy training package follows on from a control package launched in October 2009, and will be followed in 2010 by a speed coaching program related to the Nike Mercurial boot. 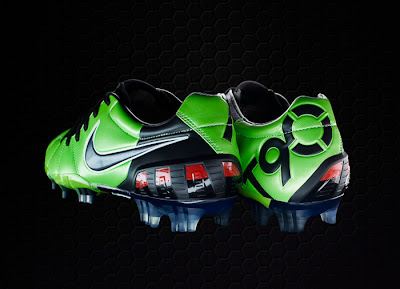 The Total90 Laser III boot is available at nikestore.com December 12th and globally at retailers from January 7th 2010. 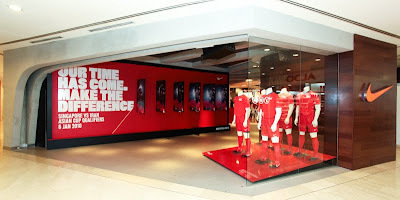 The boots are available in Singapore at the Nike flagship store at Wisma Atria (pictured above).